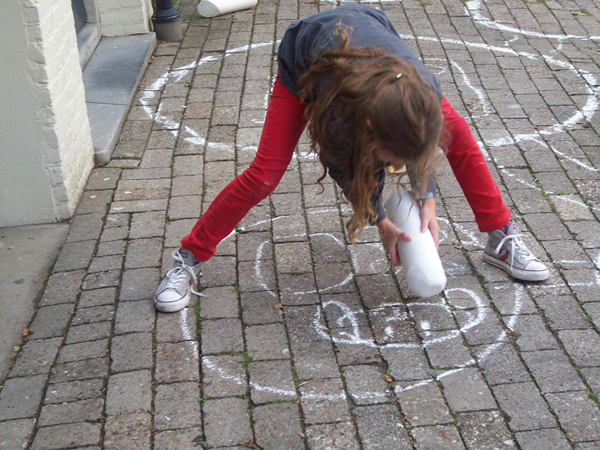 Did the Jaarbeursplein action yesterday, using the larger-than-life crayons I made. 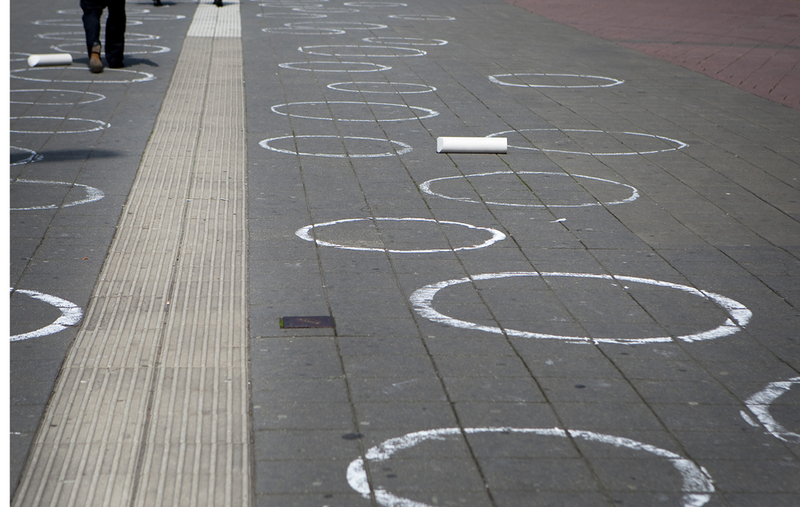 It was really heavy work crayoning circles, for I went ambitious and wanted them all along the 200 metres of white strip that you can see part of. The white strip is there to guide the visually impaired from Hoog Catherijne to the Jaarbeurs complex. It is also the element that inspired me to do this action. Like van Eyck I worked with line, a square (already there) and circles. It was a lovely sight! Ilvy from Streetnews made great pictures, Marcia from Streetnews made notes like mad. Many people played the game – the best being a businessman that jumped the course like a hare. Beautiful sight! More pictures to come when I’ve sorted the material for the Streetnews special. Need to catch up on some sleep first! 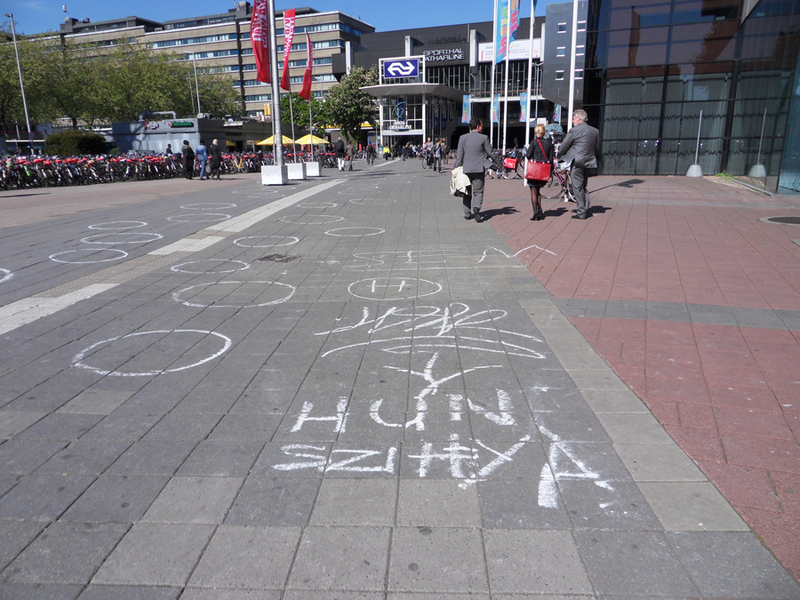 Note: Left the crayons at Jaarbeursplein. Find out what happened to them.